The Bumper Dinosaur is perfect for any fan of all things Jurrasic, with a cool colour scheme and eye catching dinosaur graphics. 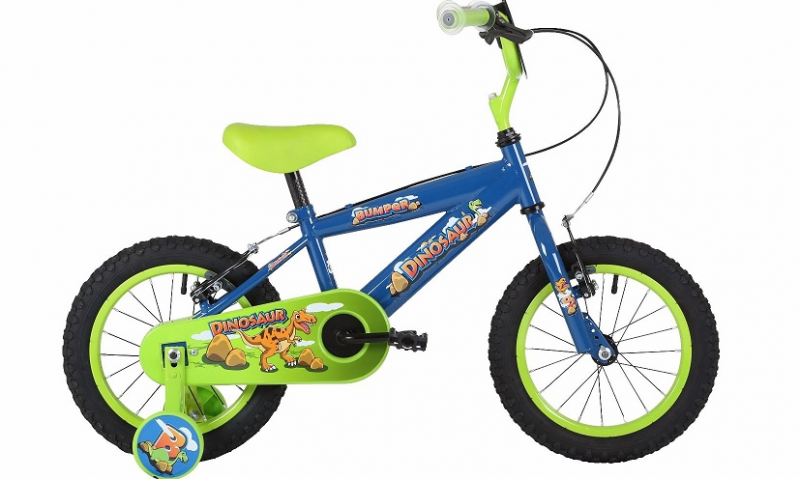 It comes with detachable stabilisers, ideal for getting to grips with cycling and safety features including non slip pedals. Please note: The picture shows the 14" wheel version. The 16" wheel version does not have a fully enclosed chainguard.